Prince Harry and Meghan Markle seem like a likely choice to be godparents to Kate Middleton and Prince William’s third child. But if the parents follow in their own tradition, Harry and Meghan probably won’t be the lucky ones to earn the title. 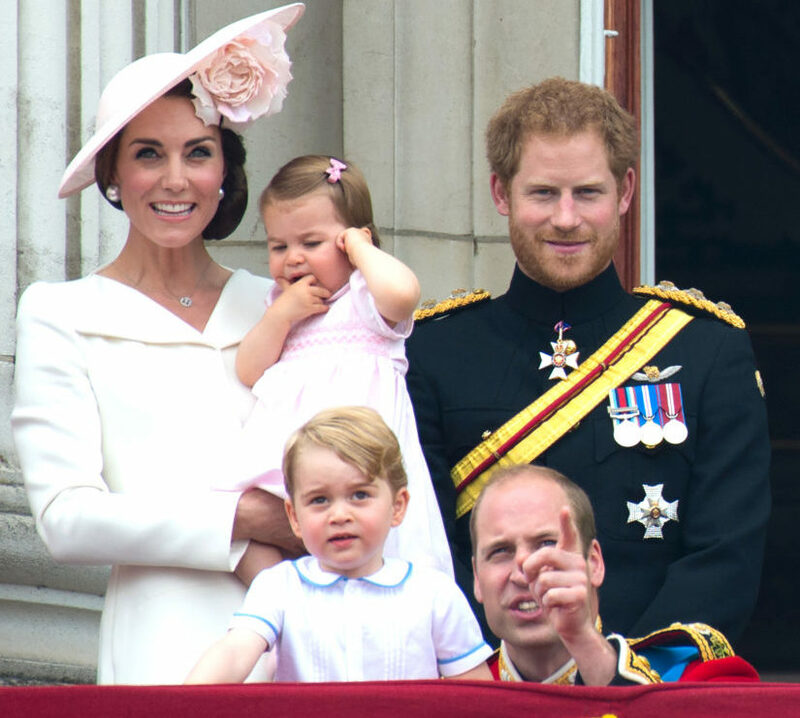 In fact, Harry isn’t a godparent to Prince George or Princess Charlotte. According to royal expert Marlene Koenig, it’s “rather unlikely” that the soon-to-be married couple will take on the role of godparents. 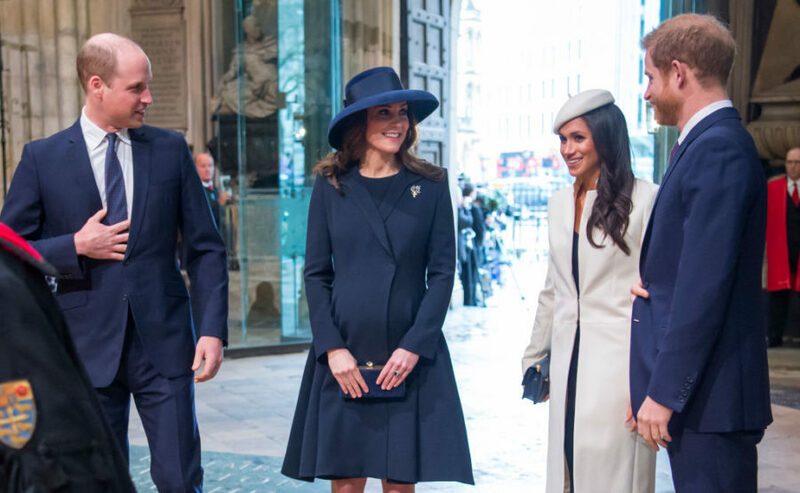 Her reasoning is that Will and Kate, in a break from royal tradition, have historically chosen their friends as godparents, rather than their family and fellow royals. Prince George has seven godparents: Oliver Baker, their mutual friend from St. Andrews; Emilia Jardine-Paterson, Middleton’s close friend from Marlborough College; Earl Grosvenor, the son of the Duke of Westminster; Jamie Lowther-Pinkerton, their private secretary; Julia Samuel, a close friend of Princess Diana; Zara Tindall, William’s cousin; and William van Cutsem, one of William’s closest friends. Princess Charlotte has two fewer, with five godparents: Adam Middleton, Kate’s cousin; Thomas van Straubenzee, William’s school friend; James Meade, another one of his close friends; Sophie Carter, a longterm friend of Kate’s; and Laura Fellowes, William’s first cousin and a member of Princess Diana’s family. Neither Prince Harry nor either of Kate Middleton’s siblings, Pippa or James, are godparents to either of their children, meaning it’s likely they also won’t get a nod for baby no. 3. “This is a definite move away from the more traditional—foreign royals or older relatives, none of who would have a close relationship with their godchild,” Koenig told Town and Country. Of course, all of this could change considering both Pippa and Harry will be married by baby no. 3’s christening, whereas they were single before. Maybe with all of these new in-laws to consider, Will and Kate will change their minds.